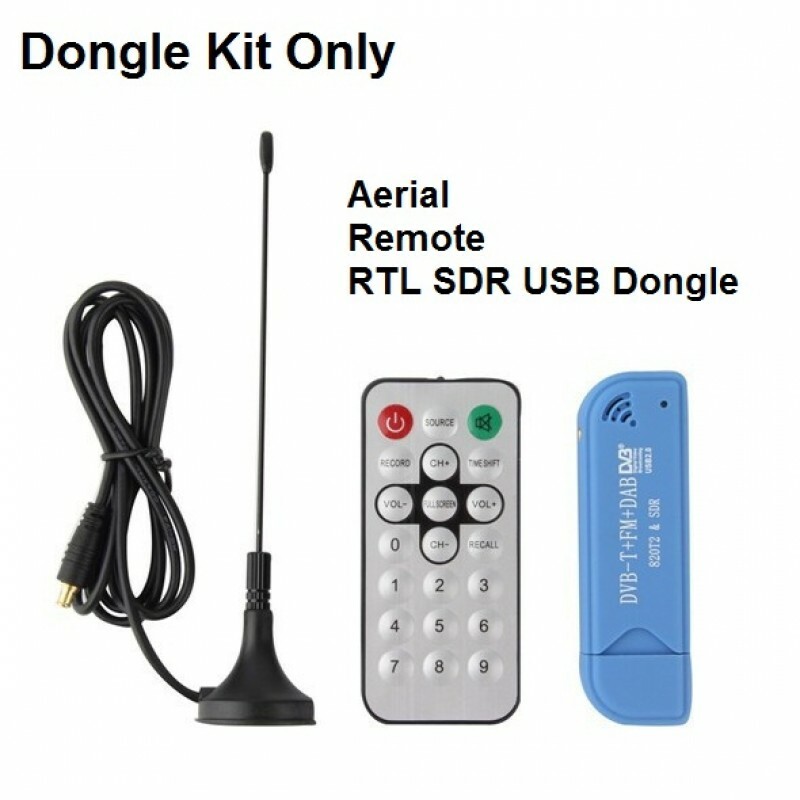 Our RTL SDR dongle uses the latest R820T2 chipset for better performance. This USB dongle can be used on many frequencies - Covering from 25MHz to around 1800MHz, it allows reception of AM, CW, FM, SSB for Amateur Radio as well as airband, broadcast radio and other frequencies (incl plane-radar/tracking). Subject to computer power, your waterfall can span over 2.5MHz. 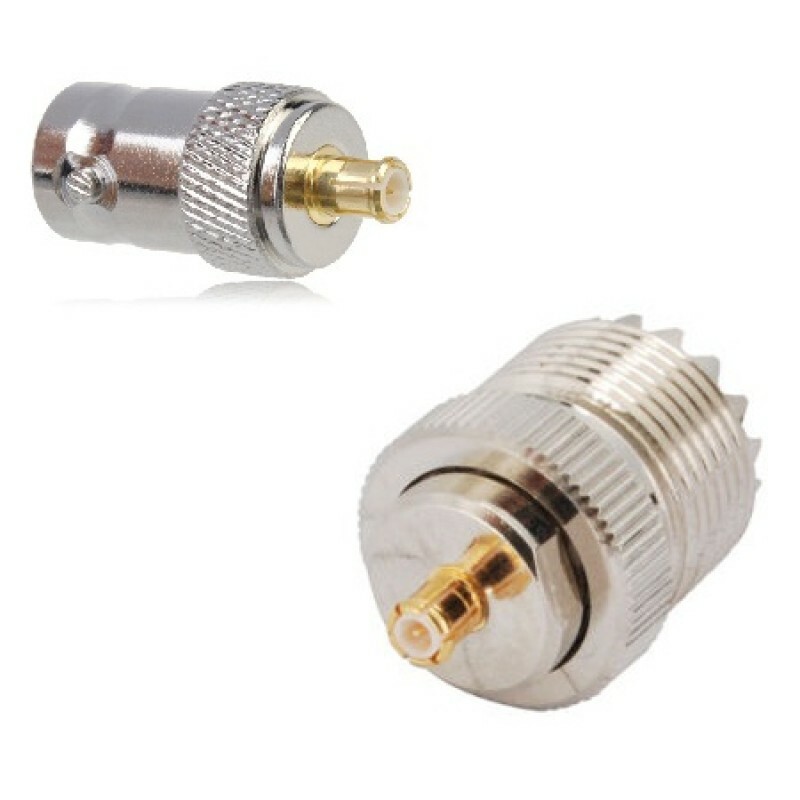 These have been used for receiving DAB/Freeview broadcasts but make great add-ons to a Ham Shack. 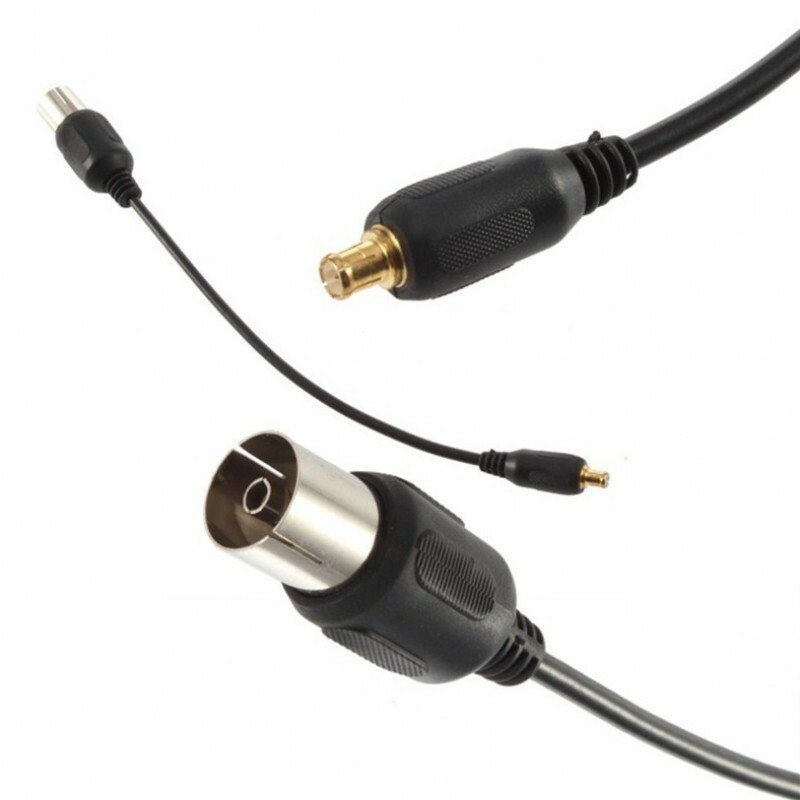 A small magmount aerial is provided but you are advised to use an aerial tuned for the operating frequency - for that, you have the option to include a BNC or SO239 adapter as part of the package, or you can simply buy the dongle/aerial/remote on its own. 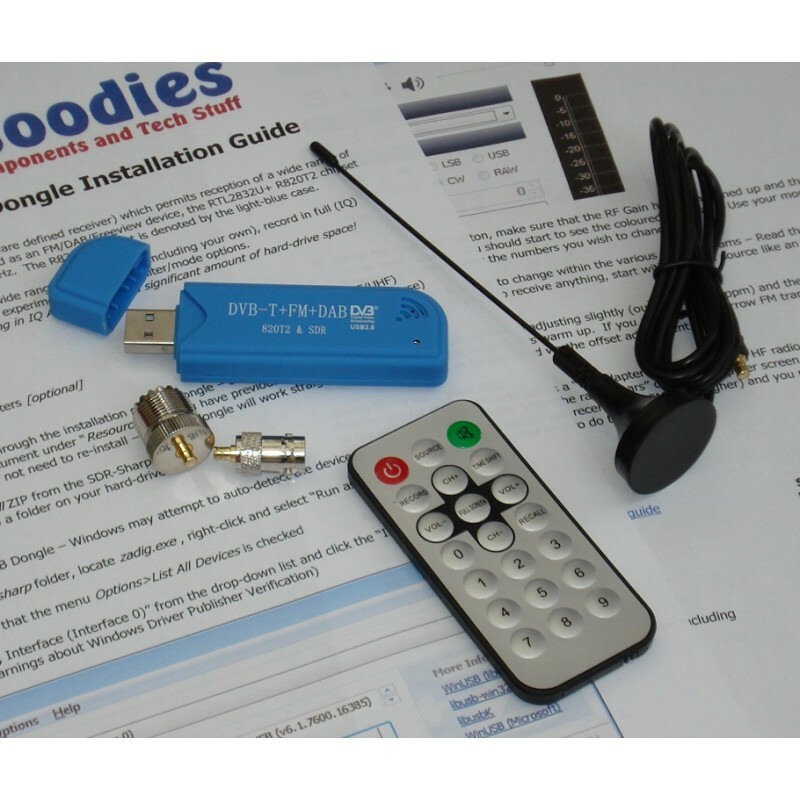 Probably the best value RTL SDR package around! See over 2.5MHz of spectrum! 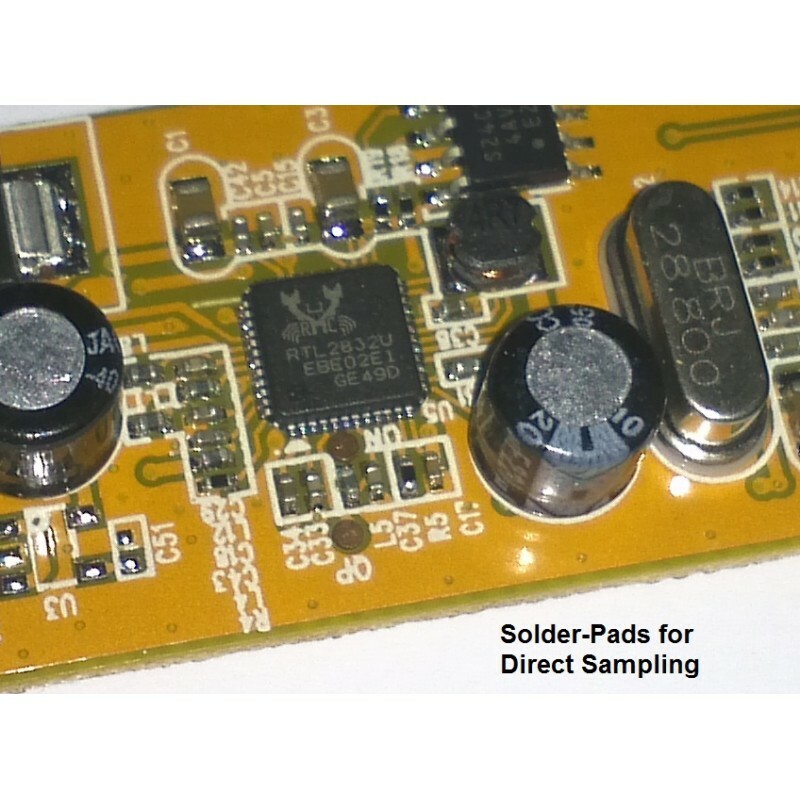 Internal image shows solder pads for direct sampling mod - enables reception down to around 100KHz. Compatible with software such as HD-SDR and SDR# (now Airspy SDR#) - using the direct sampling driver DLL, you can also tune below 25MHz with SDR#. Read this article for a comparison between this and the original R820T dongle. These also work on the Raspberry Pi - check out this page for details of rolling your own Pi-based SDR receiver! If you're looking at tracking planes, Dave M0TAZ has written a useful blog post on ADS-B reception here.